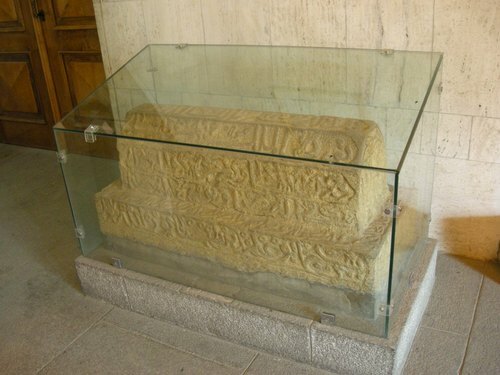 A new and large mausoleum was built over Avicenna's tomb in 1952, together with a library (which contains approximately 8,000 volumes) and a small museum devoted to his works, in the central Bu Ali Square, in Hamadan. 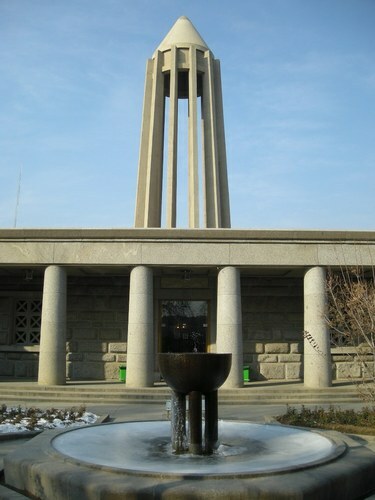 The mausoleum is surmounted by a tower inspired to spindle-shaped structure of Mongol towers and contains, besides the actual gravestone of the famous physician, the sarcophagus which originally contained the body of Avicenna. 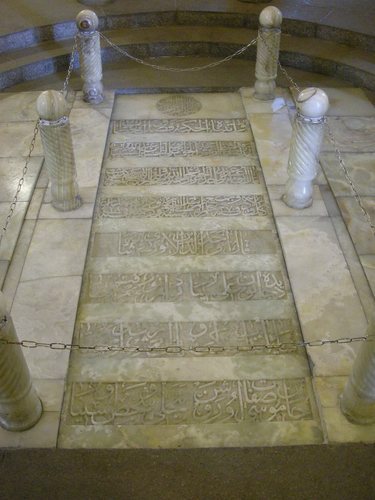 Near the mausoleum a big marble statue of Avicenna can be admired.